Country music duo Sugarland will be landing in YYC this summer. Georgia natives Jennifer Nettles and Kristian Bush will be performing as part of the 2019 Calgary Stampede’s Virgin Mobile Stampede Concert Series, taking to the stage at the Scotiabank Saddledome on Saturday, July 13. 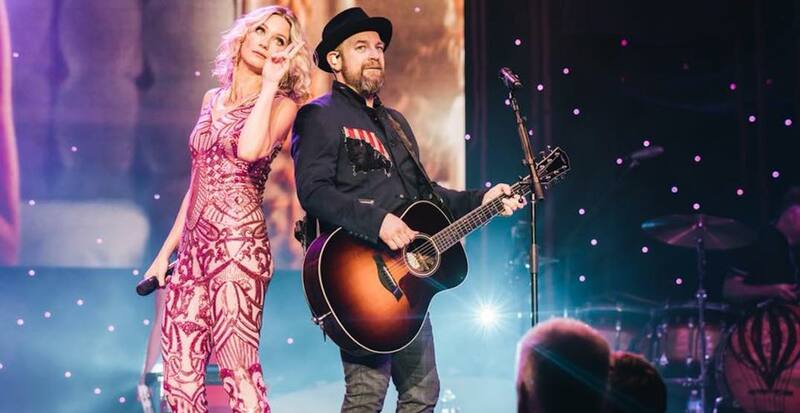 “The addition of Sugarland to the Virgin Mobile Stampede Concert Series is fantastic,” said Adam Oppenheim, President of Stampede Entertainment Inc., in a release. Tickets to the concert will go on sale starting at 10 am on Friday, February 15, and can be purchased for $60+ at TicketMaster. The duo went on a six-year hiatus, returning to the limelight with their newest album BIGGER. The Stampede concert will be the band’s only visit to western Canada — so those tickets will likely go fast.